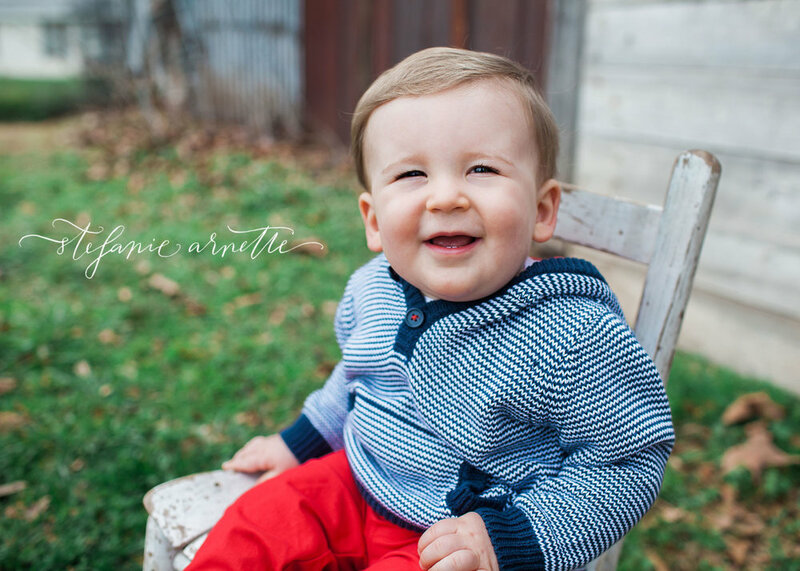 We went to the gorgeous Tisinger Farms in Bowdon, Ga for Harris' one year session. We couldn't have asked for a more perfect day to shoot! There are so many things that I love about my job! 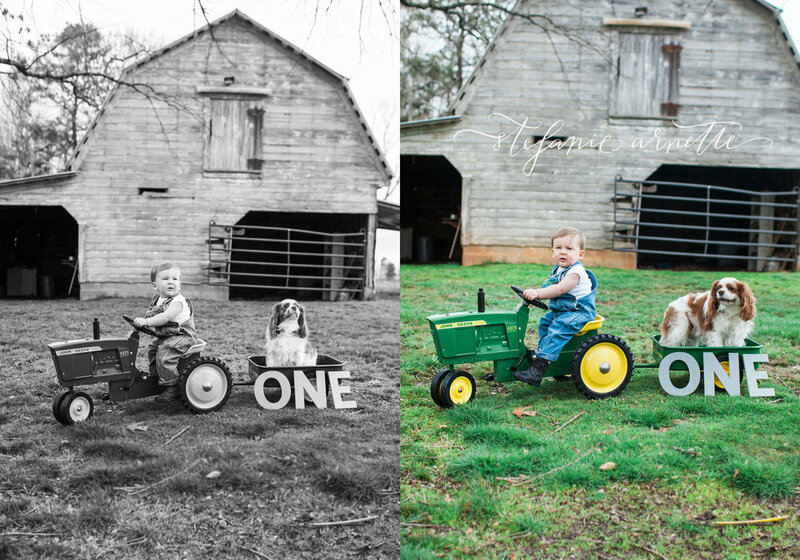 One of the most sweet aspects is seeing special heirlooms being past down to the next generation. 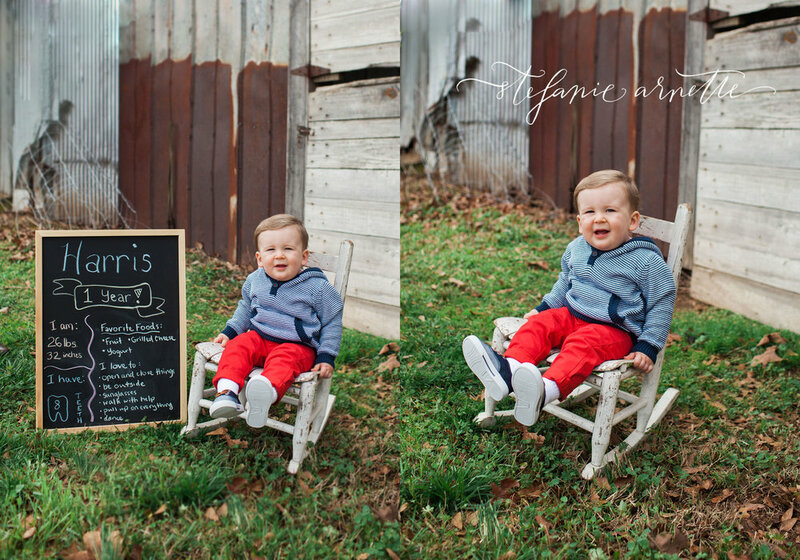 Adorable baby Harris had the honor of wearing a pair of overalls that his daddy wore 40 years prior! 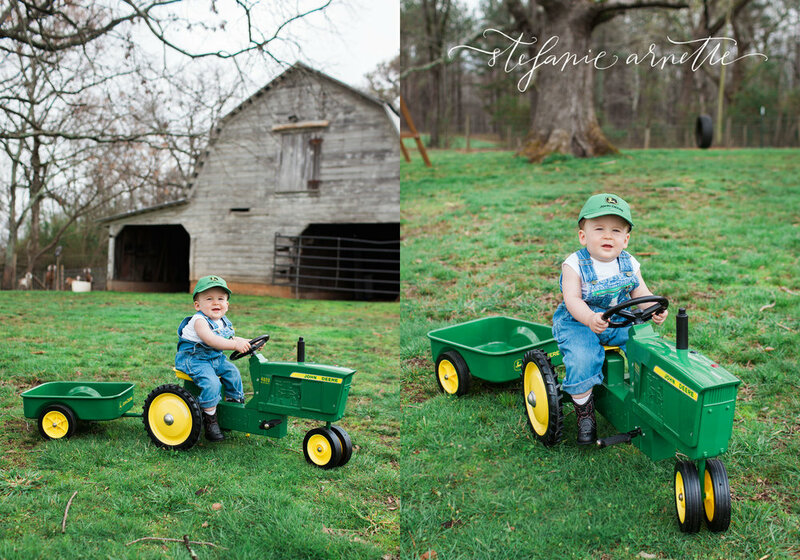 Not only were the overalls a special item, but he also had his granddaddy's hat from when he worked for the railroad. 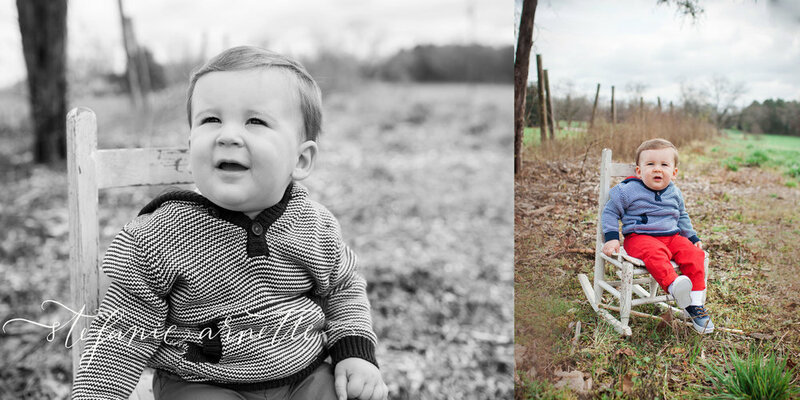 The hat is extra special because his granddaddy has past, but now Harris has a little piece of him to hold onto forever! I am just so honored to document the most special moments of peoples lives and invited to preserve it forever!